Tovatech currently has a number of ultrasonic cleaners available at a discount. If you've been looking for one of the units below, contact us today. We'll help you select the discount unit that's right for you. 3-D mold support and a variety of laboratory applications. From aerospace to auto restoration, save time, labor and chemical disposal costs using the SHIRACLEAN washer – all while cleaning a wide variety of parts more quickly and more effectively, without toxic chemicals. This benchtop ultrasonic cleaner is well suited for a wide range of cleaning operations where a heater is not needed. Sweep mode operation provides uniform cleaning. This professional quality benchtop ultrasonic cleaner is well suited for a wide range of routine cleaning operations. Sweep mode operation provides uniform cleaning of PCBs, small metal parts, tattoo equipment, and more. This benchtop ultrasonic cleaner is well suited for a wide range of routine cleaning operations. Sweep mode operation provides uniform cleaning. Safely clean fine mesh sieves with Elma’s cleverly designed stainless steel SRH 4/200 sieve rotation holder. The holder fits inside the Elmasonic EP300H ultrasonic cleaner and rotates up to four 8-inch sieves during cleaning. Detailed product information and specs delivered to your inbox. Your information is secure and won't be shared with a 3rd party or spammed. Elma stands behind their products. 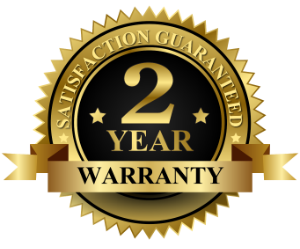 All Elma ultrasonic cleaners come with an industry-best 2 year warranty. If the unit malfunctions because of a manufacturing defect, simply call us and we’ll repair or replace the unit. Your information is secure, and won't be shared with a 3rd party or spammed.